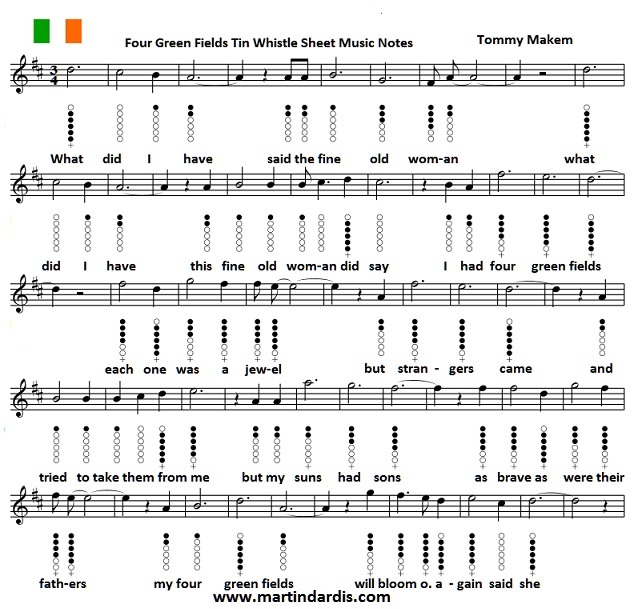 Four Green Fields Tin Whistle Sheet Music. Written by Tommy Makem. the one on the left is in the key of G and the other is for the D whistle but the first one is most likely the best version and is the one I use myself. It works better on a C whistle as the sound is very high on the D. But both whistle's are capable of doing the job.